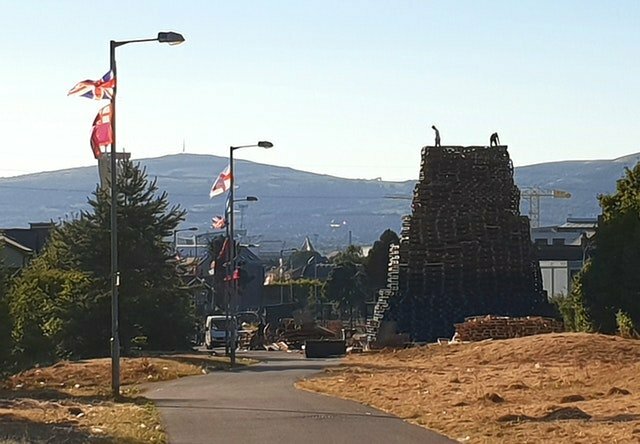 The pile is being accumulated three months ahead of July 11 when bonfires are traditionally lit in Loyalist areas across Northern Ireland to commemorate the Battle of the Boyne in 1690. The pallets are being stored in the car park of Avoniel Leisure Centre in east Belfast. The leisure centre car park has been the site of a Loyalist bonfire on July 11 for a number of years. 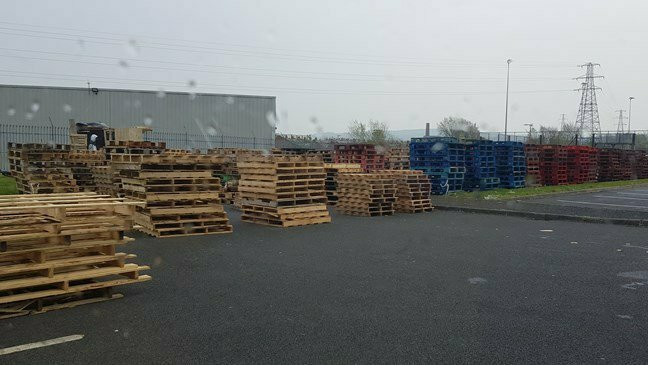 A spokeswoman for Belfast City Council told the Press Association: “Council is aware of the pallets at its car park at Avoniel Leisure Centre. The Press Association contacted a number of Belfast councillors in the area, but all declined to comment on the matter while negotiations are ongoing. In 2017, Belfast City Council was granted a High Court injunction to stop people from accessing four bonfire sites in east Belfast prompted by concerns for public safety. Those sites includes Avoniel Leisure Centre car park as well as Bloomfield Walkway, Inverary Playing Fields and Cregagh Park East. The Bloomfield Walkway site also hit the headlines last summer after the council went to the High Court to secure the removal of a tall pyre close to homes. A High Court judge ordered Stormont officials to intervene after hearing it posed a serious threat to nearby homes. Armed police were on hand while workers, who masked their faces to protect their identities, removed bonfire material on July 11 from Bloomfield Walkway as well as a second site at Cluan Place. Earlier this month, a number of pallets had been stacked at the Bloomfield Walkway site, but were later removed.